Clean imaginative designs. 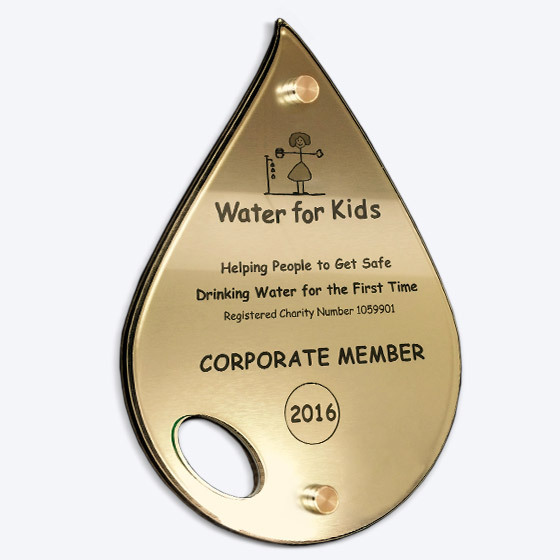 Using parts of your logo, we can achieve extra visual depth by these laser cut-outs. Here are a few examples of this and other styles. Fixings: 15mm polished aluminium wall spacers. 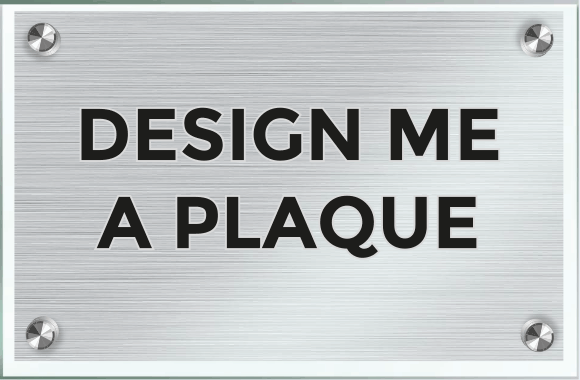 All plaques supplied with easy fixing kit & instructions. All units individually boxed. 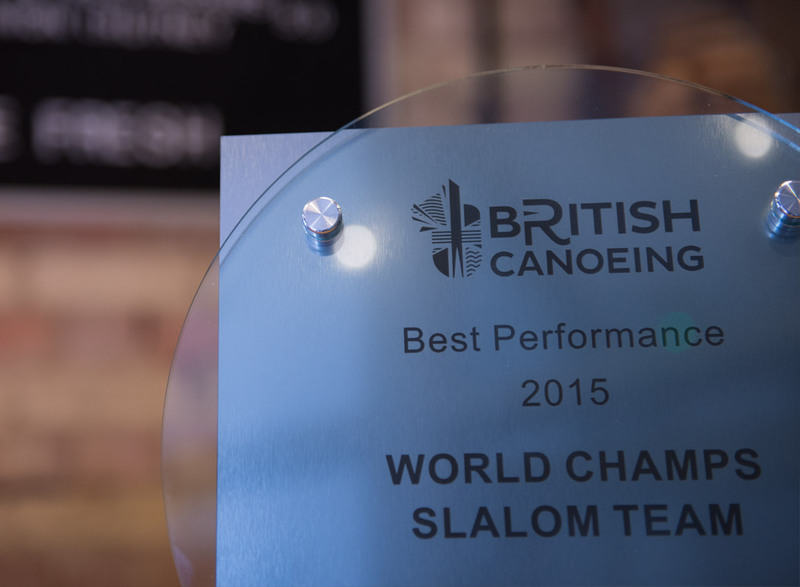 All prices include personalised engraving, set-up and artwork time. 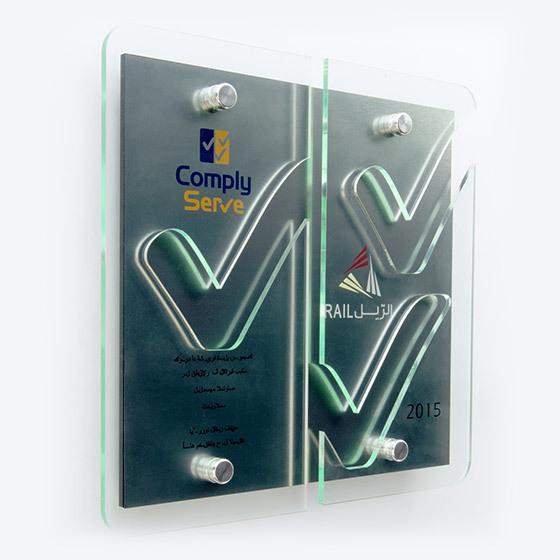 Twin layer plaques cut to bespoke shape of logo or design. Overall Size: 290mm x 185mm. 5mm thick black acrylic with 1mm thick brushed silver / gold / bronze laminate applied. Feature cut-out of the plaque. 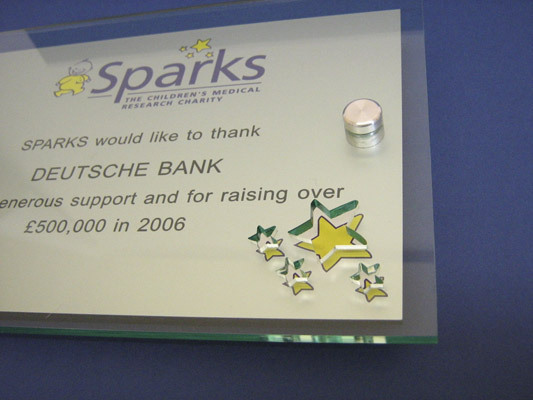 Top Layer: 5mm thick glass effect acrylic cut to bespoke design. Overall Size: 300 x 290mm. 5mm thick black acrylic with a 1mm thick brushed silver / gold / bronze laminate applied. Top Layer: Bespoke laser cut to logo shape in two parts. 5mm thick glass effect acrylic. Overall Size: 250 x 180mm. Base Size 230 x 160mm:5mm black acrylic with 1mm thick brushed silver/gold/bronze laminate applied. 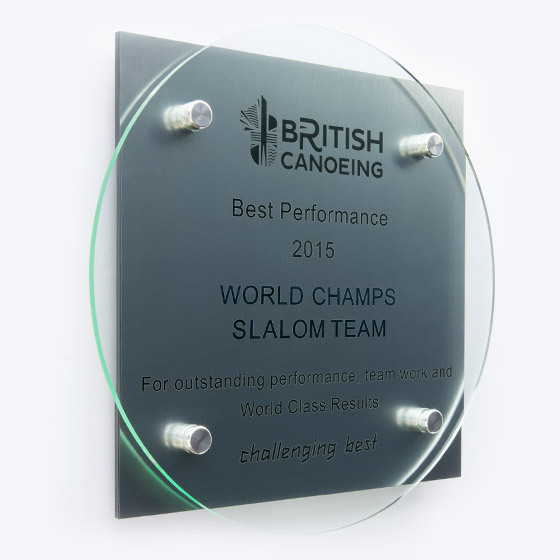 Top Layer Size 250 x 180mm: 5mm thick clear cast acrylic with a feature cut-out. 1mm thick brushed silver/gold/bronze laminate applied. Top Layer Size 290 x 290mm. 5mm thick glass effect acrylic.